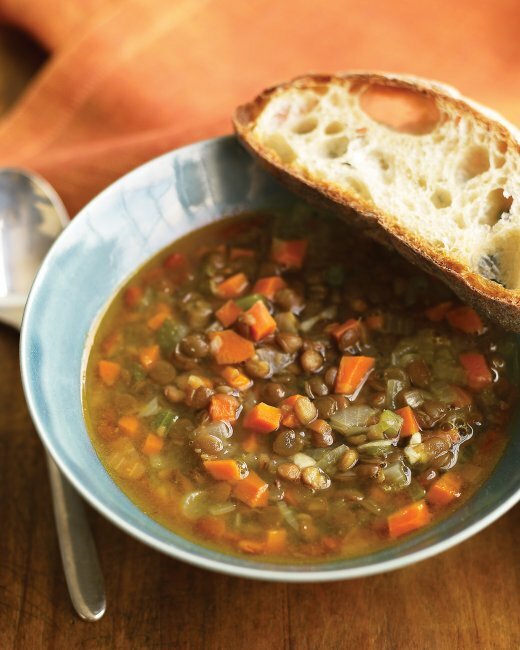 This is a FABULOUS recipe from Martha Stewart (of course): 15-minute Lentil Soup. I made this today, but I used fresh lentils (not canned) and I cooked them according to these directions, so it took me about 30-40 minutes. That's a WIN! This recipe is simple, quick, and filled with healthy ingredients. I always add tumeric to soups/stews because of its anti-inflammatory properties (it's really good for you)! Ham would be a really yummy addition as well. This will be a perfect recipe to make this fall! Oh and it's also gluten free and SCD legal.